If you’re looking for our daily NHL betting tips, please check out our Tonights Tips section of the website. This section is reserved for betting tips for anything OTHER than the daily NHL tips that we provide. What this section covers is betting tips related to NHL futures and props. Basically if you’re looking for NHL Futures Betting Tips or NHL Props Betting Tips this is the section to get it. In each article we provide detailed analysis of these futures and props bets, along with our own betting tips. We list all our season archives here as well. Division Futures: Metropolitan Division. Atlantic Division. Pacific Division. Central Division. Entry Draft: Betting Tips for the 2017 Entry Draft. NHL Stanley Cup 2017 Betting Odds: At the end of the regular season and prior to the playoffs beginning these are the odds to win the Stanley Cup. NHL Playoffs 2017 Round 1 Betting Odds: The betting odds for each team to win in round 1 of the playoffs in 2017. 2016/2017 NHL Regular Season Wins: One bet you could make at certain sportsbooks was the amount of wins that a team would get – you could bet the over/under. We looked through and picked a few teams that we felt would go over or under their posted totals. Here’s Part 2 as well. NHL 2016/2017 Division Winners Betting Tips: We went through each division and picked who we thought would win. We also analyzed each team and advised bets if the odds were justifiable. Here they are: Metropolitan Division, Pacific Division, Atlantic Division, Central Division. NHL 2016 Draft Betting Tips: In this article we looked at the props available for betting on the NHL 2016 Draft and advised bets on that. NHL 2015/2016 Playoffs Futures: In this article written prior to the season beginning, we went through the 2015/2016 playoff futures and offered betting tips on who would make the playoffs and who wouldn’t. NHL 2015/2016 Awards Betting Props: Prior to the beginning of the 2015/2016 season we went through all of the awards and advised a pick as well as a long shot bet. NHL 2016 Awards Betting Tips: In this article we went over the NHL Awards the day before they were announced and looked at whether there were any profitable bets or not. Over/Under Points Bets: At some online sportsbooks you could bet on the points a team would get throughout the season. For 2014/2015 we went through those and recommended 10 bets. Here is Part 1 and here is Part 2. 2015 Stanley Cup Winners Odds: In this article we look at the odds during the Summer of who can win the Stanley Cup in 2015. Fun Pre-Season Prop Bets: There are always some fun pre-season prop bets around like betting on the number of Canadian teams to make the playoffs. We went through a bunch of these and gave our thoughts. Part 1 and Part 2. NHL 2014/2015 Awards Betting Tips: In this two part series we looked at who we would think would win the awards such as the Hart Memorial Trophy and Art Ross Trophy. Part 1 and part 2. That was written prior to the season beginning. We then did a look at the odds the night prior to see if there were any possibly bets available. Stanley Cup 2013/2014 Winners Betting Tips: Who will win the Stanley Cup in 2013/2014? We analyze it here, as well as provide the best betting tips. Western Conference 2013/2014 Winners: In this article, we discuss who is going to win the Western Conference in the 2013/2014 NHL season and provide you with betting tips based on that. Eastern Conference 2013/2014 Winners Who will win the East? We provide betting tips here and analyze the top teams. Atlantic Division 2013/2014 Winners: Who shall win the Atlantic Division? Or who are the best bets based on the odds? We analyze it here. Pacific Division 2013/2014 Winners: One of the tightest divisions of all, with the Kings, Canucks, Ducks and Sharks all making a play for the winner. Read our betting analysis. Central Division 2013/2014 Winners: Stanley Cup Winners the Chicago Blackhawks are the favourites to win the Central Division. But at 1.63 odds are they worth taking? Check out our analysis, and see who we recommend as a good bet to bet on the Central Division this year. Metropolitan Division 2013/2014 Winners: Such a stupid name. NHL Free Agency Prop Bets: A look at the free agency prop bets available prior to the 2013/2014 season. NHL 2013 Draft: You can bet on the NHL Draft and we went in-depth on it. Here is Part 1, Part 2 and Part 3 of our NHL Draft 2013 Betting Tips. Stanley Cup 2013 Winners Betting Tips: The big one – who will win the 2013 Stanley Cup in this short season? 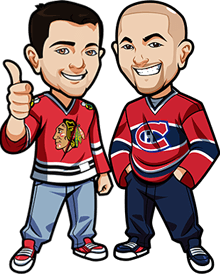 We provide a lot of betting analysis explaining all the factors you should consider, then provide our own Stanley Cup Winner Betting Tips. Eastern Conference Winner Betting Tips: So who is going to win the Eastern Conference? We look through some of the highly touted Eastern Conference winners as well as a few underdogs and provide betting analysis and tips on each of them. Western Conference Winner Betting Tips: And we also do the same for the Western Conference! Will the Canucks or the Blackhawks take it? Or how about the Stanley Cup 2012 winners the LA Kings? We go through the main teams and analyze their chances, as well as list the betting odds and whether they represent value. Who Will Make The NHL Playoffs: In this article, we analyze who is going to make the NHL playoffs, and who actually represents value for betting on who will make the playoffs. There’s a couple of bridgejumper bets, but also a couple of underdog bets that represent great value. Team Regular Season Over/Under: You can bet on whether the points total of each team will be over or under a certain point estimate. So for example – the point line of the Edmonton Oilers is set at 53.5 regular season points. You are able to bet whether they will actually get OVER 53.5 points or UNDER 53.5 points. In this article we pick some of the best bets to make for a teams regular season points amount. Art Ross Trophy Winner Betting Tips: You can bet on who will win the Art Ross Trophy every season. In this article we look at who will put their name up with the greats like Wayne Gretzky, and pick up the Art Ross Trophy. We go with one “sure thing” bet, and then an underdog value bet that offers great odds. Hart Memorial Trophy Winner Betting Tips: You can bet on who the winner of the Hart Memorial trophy will be online, and we’ve got together to debate on who the best bets are for this one. We’ve went with one favourite, and then one underdog who represents sick value. And that underdog? Jonathan Toews at +2000 odds, so we’re not looking too shabby there. James Norris Trophy Winner Betting Tips: The best defender in the league gets the James Norris Memorial Trophy, and we’ve sat down to look at who the best defenders to bet on are to win the trophy, based on the betting odds. Rocket Richard Trophy Winner Betting Tips: It’s one thing to argue about who will pick up the Rocket Richard Trophy – it’s a whole other ball game to bet on it. But that’s what you can do – put your money where your mouth is. We’ve got two recommended betting tips for you in this article. Vezina Trophy Winner Betting Tips: So which goaltender will be picking up the Vezina trophy? In this article we task ourselves with picking a strong favourite to win and then an outside underdog to win, to help give you the best chance of winning and the best value of money.